Supplied by experts, blinds window simply provide a perfect balance of light and privacy to all your rooms. Our quality blinds window treatments, made to measure and ready made, are supplied throughout the UK. 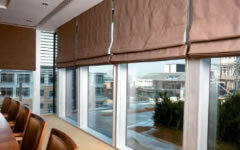 We provide a fantastic range of high performance blinds that are very stylish and durable at unbeatable prices. We offer a complete range of internal window blinds from our shops over the Internet that are ideally suitable for both, the commercial and retail sectors. We have built up a reputation for high quality products, including a fast and safe delivery service. Blinds window is a modern alternative to curtains, they not only look beautiful and smart, but they're ideal for providing shade, with softly filtered light that adds special ambiance to any window. When you ask us to supply a made-to-measure blind, you can rest assured that the fabric we use is only of the very best quality, the blind is made of the finest and strongest components to ensure that you receive a blind that will last. Our shops have always enjoyed a reputation for outstanding quality and our experts intend to keep it that way. Choosing a colour scheme is a very important step and we at Nets2Go.co.uk have a vast amount of different hues and textures to help spice up your dining area, bathroom or lounge, to suit your décor. We want you to truly find the perfect tones to match any room in the house and to make your special project perfect. Our blinds will evoke the style of your home with pleasing and radiant tones that are well suited for a stylish and comfortable home. 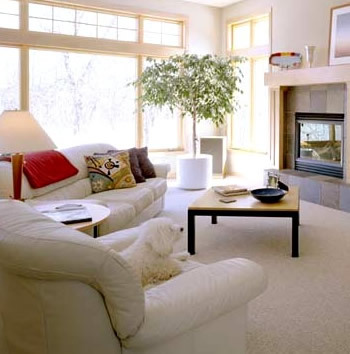 Window treatments and window shades are becoming more and more popular especially as they are long lasting and don't cost much to keep nice and clean while maintaining a fabulous look. See for yourself our extensive range of stock items by browsing through our website's easy to navigate pages, our products have brought lasting style and beauty to thousands of homes throughout the country. Nets2Go is a premier company engaged in the manufacture and supplying high class window furnishing items such: as blinds, curtains, voile fabrics, rods, net curtains and a lot more. All our blinds and curtains are either ready made or made to order to a very high standard as we strongly believe in complete customer satisfaction. In order to stay ahead of our competitors, we regularly compare all of our blind prices with those of the competition and try and keep our prices at least 10% lower, to give our valued customers the best deals. We also stock a wide range of flame-retardant blinds in 30 different colours; these are of course are also suitable for offices or work premises as they meet the all important BS 5867 standard. All our blinds window are designed for easy installation.